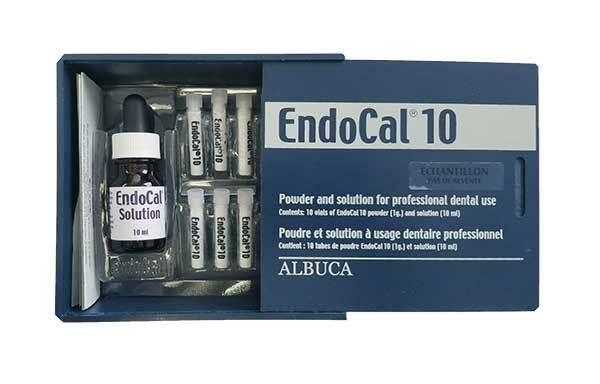 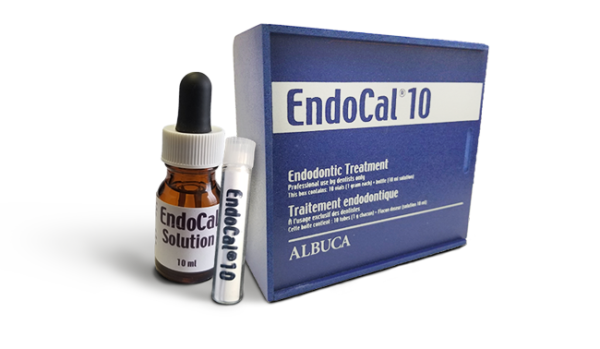 EndoCal 10 Heavy calcium oxide finally allows the dentist to successfully complete the Endodontic Triad: Complete canal penetration, canal asepsis and canal (primary and secondary) obturation. 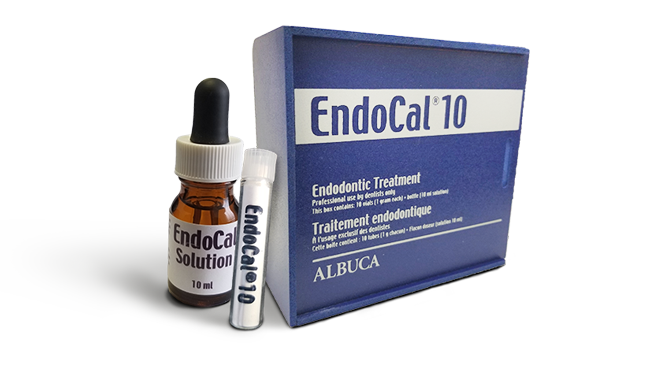 Due to its excellent hydric affinity, EndoCal 10 progressively penetrates inaccessible areas, without generation of pressure. 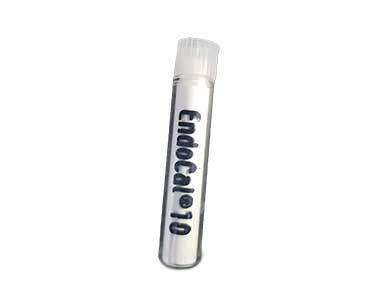 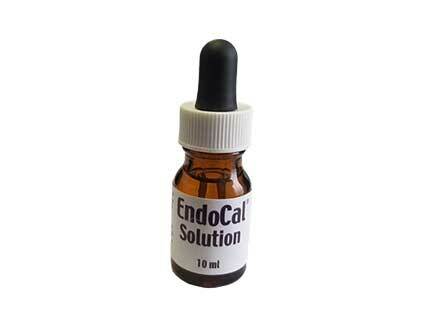 By binding necrotic tissues and stimulating the healthy tissues, EndoCal 10 ensures specific internal permanent asepsis.